Online video is an area of continued experimentation for news outlets, looking at the different ways they can maximise digital platforms to share a wide-range of video styles, from short news bulletins, to in-depth documentaries. A contest launched for the first time today focuses on uncovering new ways of bringing online video news to young digital audiences, by encouraging "the next generation of journalists" to submit short news video packages which they consider "high-quality, engaging and unique". The Generation Video Challenge is open to students on courses accredited by industry bodies such as NCTJ and BCTJ, with video entries limited to between two and three minutes to be submitted by 5pm on Friday 13 December. The video should appeal to 16 to 24-year-olds, with this age-group found to be "the least engaged with news but the heaviest users of online video news", according to research by Deloitte and Gfk for the Associated Press. 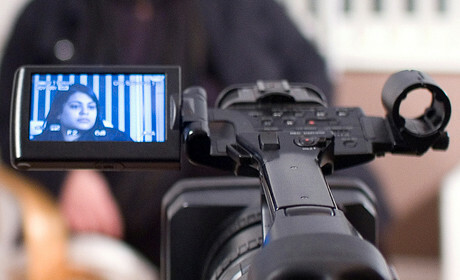 Those sending in video entries must show they have not only considered the content, but how this would be shared with the audience, by accompanying their video with a 200-word statement outlining how it appeals to the target audience and platform, as well as explaining "what makes your chosen content newsworthy". Entries will be shortlisted, and the remaining competitors will come together at a training day in London at AP's offices next year, before working on their final video within a 24-hour deadline. The judging panel will feature Sue Brooks, head of content development at AP, Derl McCrudden, head of newsgathering at AP, Ed Adams, video editor of the Daily Telegraph, Adam Thomas, director of business development at Storyful, and Rachel Bartlett, editor of Journalism.co.uk. "The Generation Video Challenge is the ideal platform for UK journalism students to transfer their knowledge of video news production from their classroom to the newsroom," Sue Brooks, head of content development at the AP said. "The best entrants are going to be showcasing their talent to journalism professionals at the very top of the industry, so candidates need to know how to tell a story using video. " The winner will be awarded with a a GoPro HERO3+ Black Edition camera, and their final video will be published on AP's website. It will also appear on Journalism.co.uk, along with a behind-the-scenes look at the competition. More detail on the contest is available online.